Never fear the beer is here. Thanks to Beer Man. 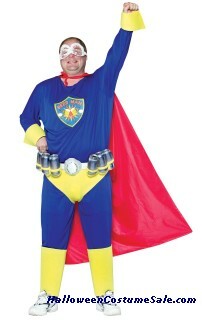 Costume includes goggles, top, pants, cod piece with belt, cape and spats. 100% polyester. Plus size adult.